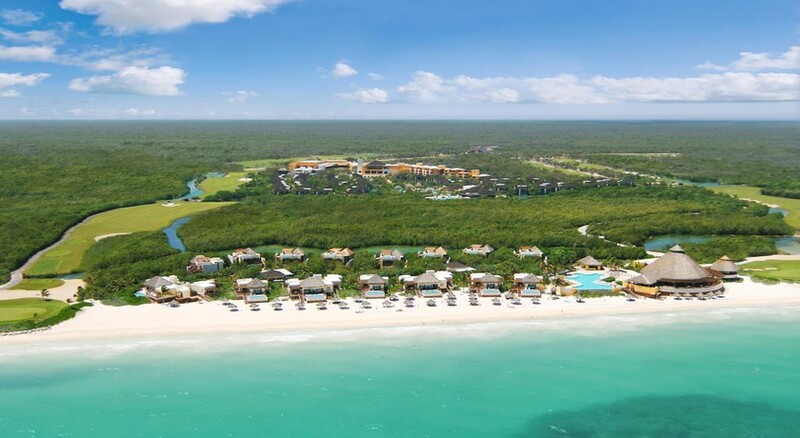 The Fairmont Mayakoba offers a way-from-it-all feel, set in a gated Riviera Maya resort community surrounded by lush tropical jungle and the crystal Caribbean shore. 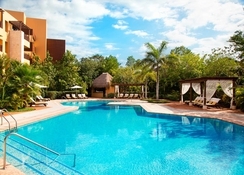 The hotel is just 15 minutes from lively Playa del Carmen and its main shopping and entertainment area, meaning there's plenty for guests explore in the surrounding area. If staying in-resort is what you prefer, the hotel features spectacular services including the Willow Stream Spa (with treetop treatment areas and rooms), a secluded beach, two mineral pools, a Discovery Club & Adventure Camp for kids, plus a wide range of watersports, beach games and golf on offer. This AAA Five Diamond Award winning luxury resort's 401 guestrooms and suites offer amazing views of the tropical forest and the Caribbean Sea, perfect if you're after a tranquil setting. 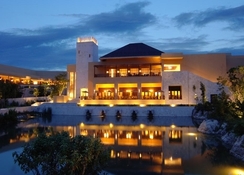 Fairmont Mayakoba offers three excellent restaurants, and there are also a couple of cafés and lounges available to unwind in. All the restaurants here have been recently redesigned and serve dishes made by world-renowned chef and restaurateur Richard Sandoval. The Riviera Maya was once home to little angling towns but has since been created into a riveting resort for fun and travel. The ADO International Bus Station and Playa del Carmen Maritime Terminal are 9km from the hotel. 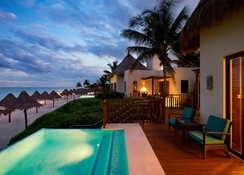 The closest airplane terminal is Cozumel International Airport, 22km from Fairmont Mayakoba. There is an abundance of things to see and do outside of the resort, including the world's second largest coral reef, underwater cenotes and famous Mayan ruins. 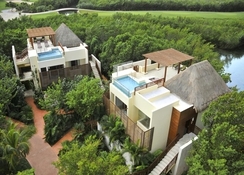 The Fairmont Mayakoba has 401 well-furnished guestrooms including suites with tidal ponds and shoreline zone suites. All rooms and suites are furnished in a lavish, present day style with rich hues, hardwood furniture and tiled floors. Luxuries incorporate air-conditioning, large flat screen TV, stereo, in-room safe, and tea/espresso makers. The en-suite washrooms have a bath, walk in shower, and complimentary Miller Harris toiletries. The Signature Casita Suite is recognized by its high roofs and fold over gallery for a panoramic view of tidal ponds and trenches. These come with an extensive main room, plus a different living zone with sofa beds, and provide ample living space. 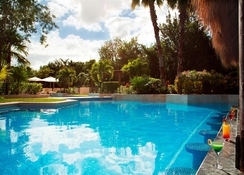 The Presidential Suite is appointed like a home away from home and is based on an island close to the pool territory. This suite additionally includes high roofs and a rich four-piece marble washroom centred around a soaker shower and a private glassed shower cubicle in addition to a private Infinity pool that overlooks the tidal pond and channels. The resort has four amazing eateries serving a wide array of dishes, including fresh catch of fish and seafood, authentic Mexican cuisine and international flavours. The lodging offers a smorgasbord or a la carte breakfast. It also has a few bars which serve a fine range of beverages, including cocktails & mocktails, spirits and lagers. The property has five lovely swimming pools; a central pool with bar, a kids' pool that has an exciting waterslide, adults only pool, shoreline front pool and a bambu pool. 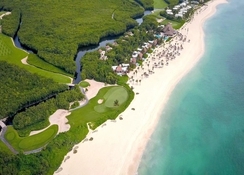 An assortment of recreational activities are accessible in the neighbourhood of Fairmont Mayakoba, including cycling and paddling. There is a spa offering rejuvenating therapies and a well-equipped fitness centre too.